The surrounding countryside offers excellent opportunities for sight-seeing and photography. The picturesque rural villages and markets, which feature basket weaving and leatherwork, café's, restaurants, natural springs and historical sites, all blend together easily to give you the distinct flavour of Portuguese culture with it's rich heritage. Driving through the rural countryside will give the feeling of stepping back in time. Sporting activities include: hiking, horseback riding (also adventurous 2 or 3 day tracks from the quinta through the beautiful countryside), golf, tennis and safaris. Beachlovers will enjoy the many beaches that are but half an hour away, with the option of boating out to the small offshore islands. 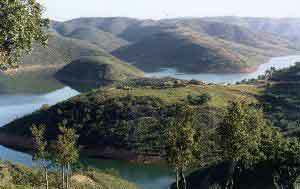 Quinta do Coração also available for groups, family reunions and workshops (up to 12 guests). 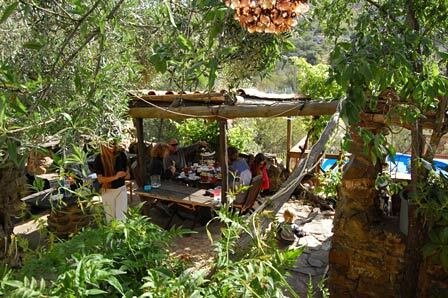 Whatever your group interests are: photography, hiking, bird & plantlife, meditation, survival trips, weddings, cultural history, they are bound to be more than satisfied at this magical place of unspoilt wilderness and peace. Let the mists of the hills dissolve the pressures of a busy lifestyle and open your heart to the warm and friendly mood of Quinta do Coração.